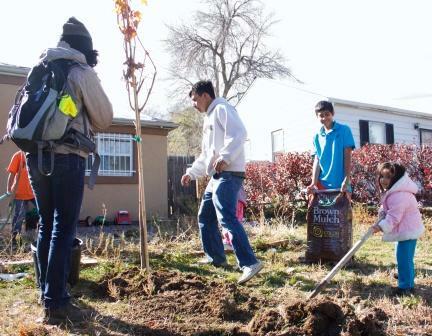 The Green Team is a core program of Groundwork Denver, focused on molding youth environmentalists and providing employment and professional development for low-income students in their teens and into their early twenties. 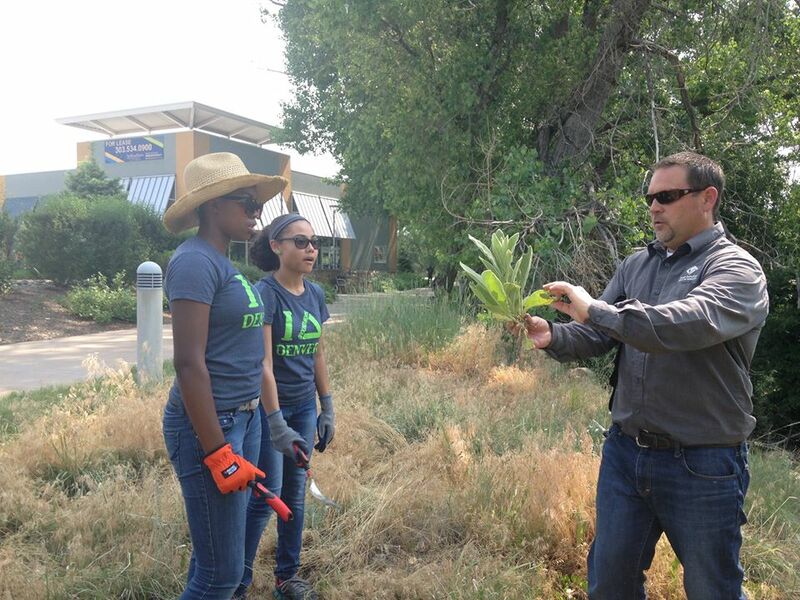 As partners with the GOCO Inspire Initiative, Groundwork Denver targets youth from specific neighborhoods, such as Westwood, Northeast Park Hill, Montbello, Northwest Aurora, Commerce City, and its surrounding areas, to become involved in environmental action, stewardship, and community outreach/engagement. 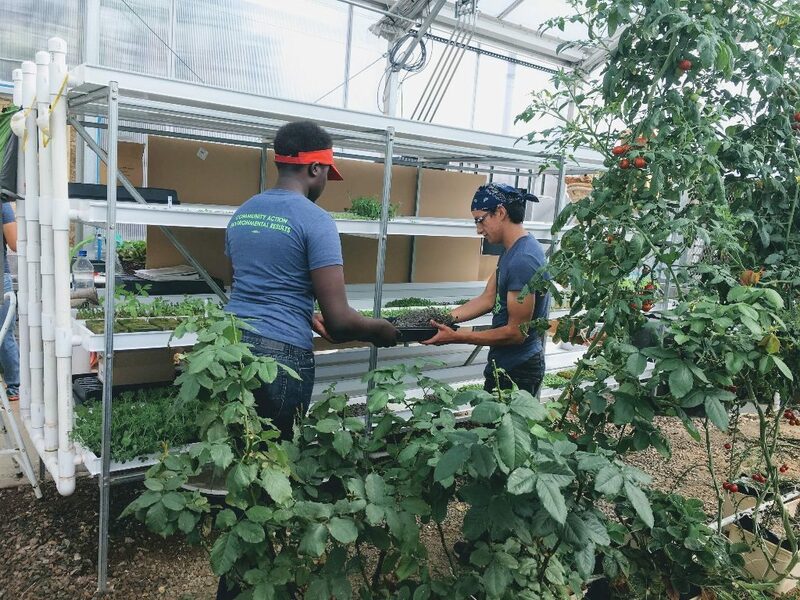 The Green Team also includes Greenhouse Techs, which are internship positions that allow students to learn hydroponic growing methods while working at Groundwork Denver’s social enterprise, Groundwork Greens Greenhouse. During their time at the greenhouse, the techs learn agricultural skills that include biology, chemistry, land management, planning, and food production best practices. To learn more about these teams, and/or apply for a position, email Melake@GroundworkColorado.org. 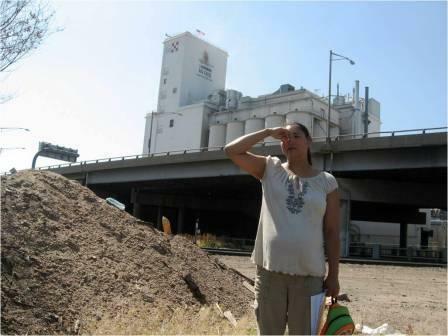 A woman in the Elyria neighborhood holds her nose due to foul odors from nearby factories. Children help plant a tree with their father and volunteers in Valverde.